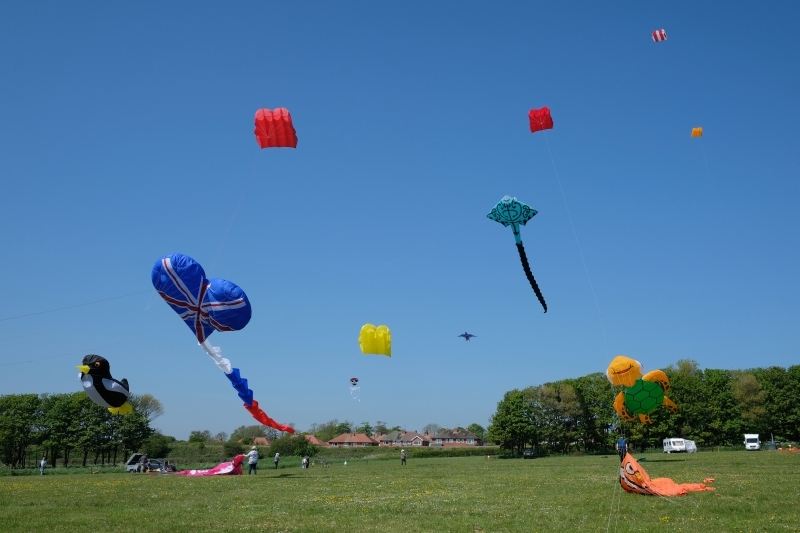 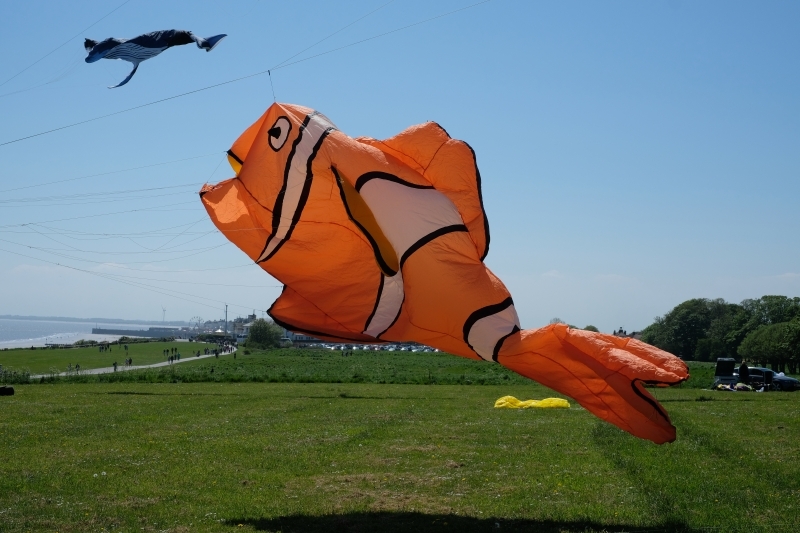 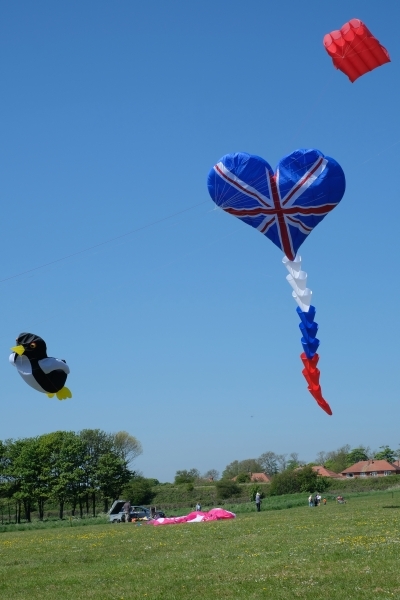 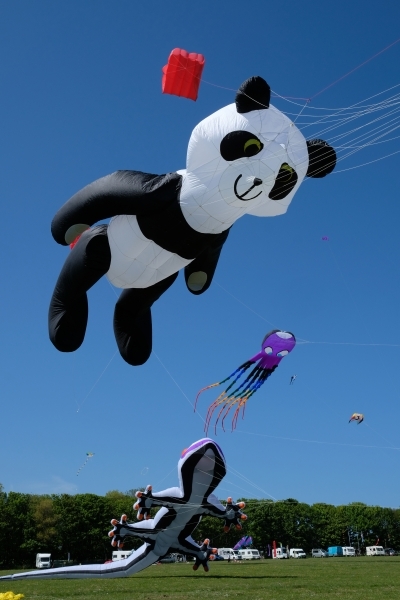 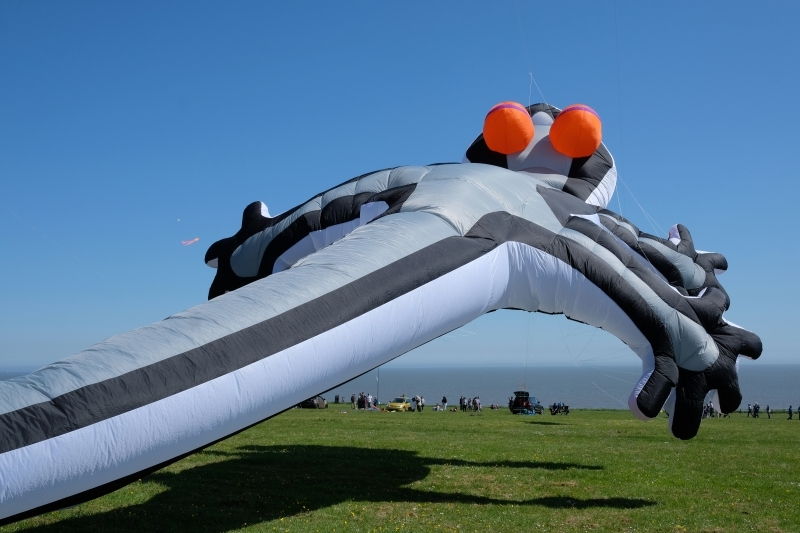 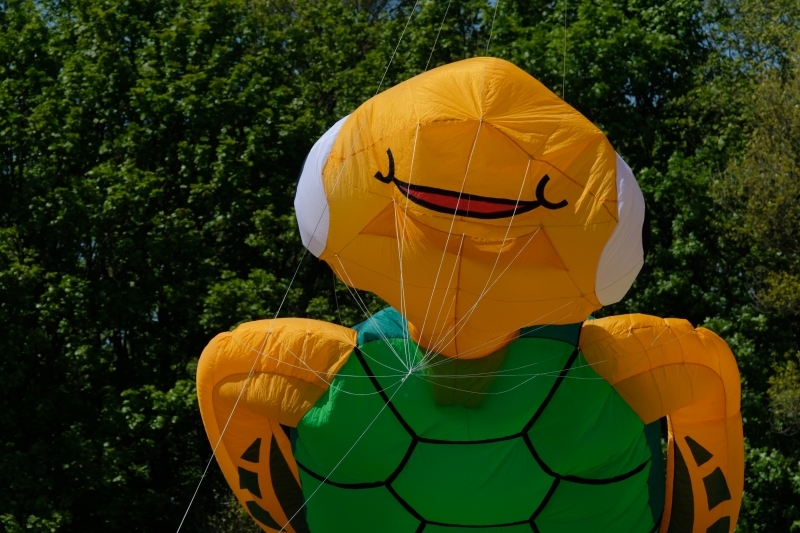 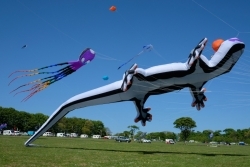 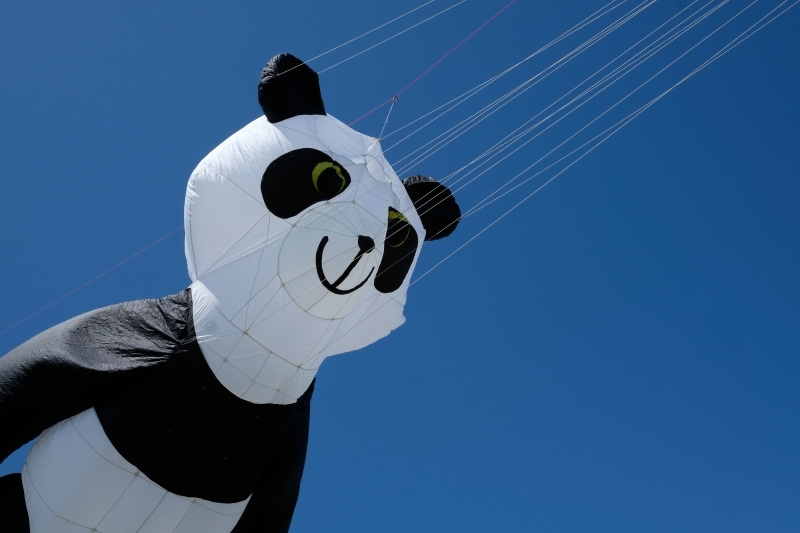 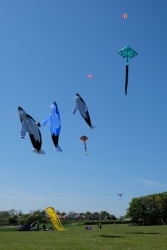 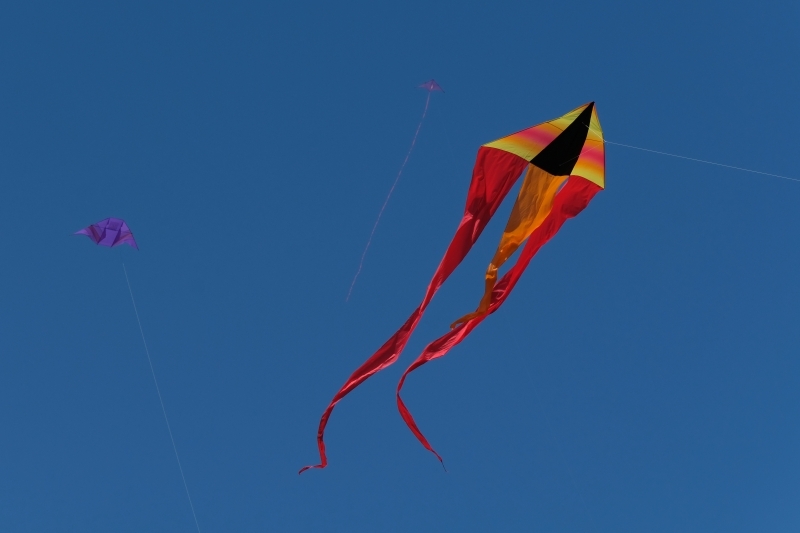 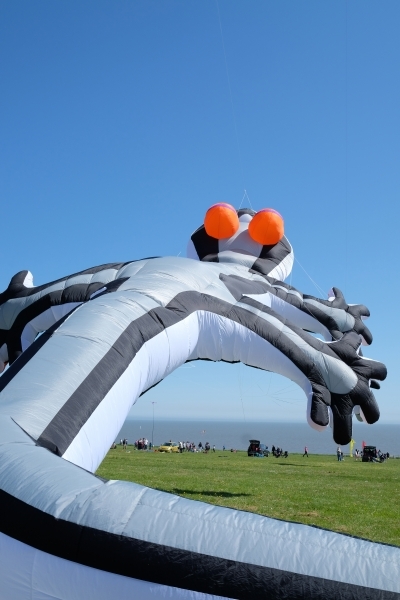 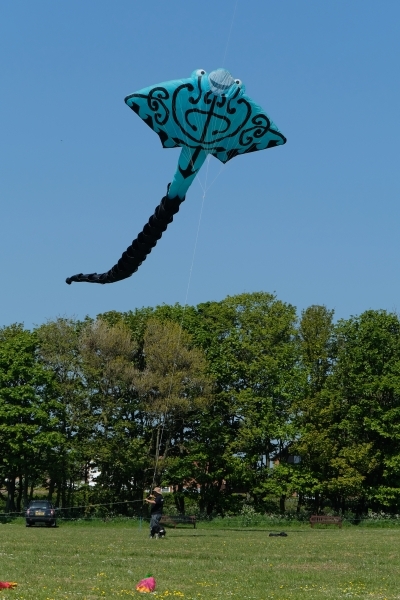 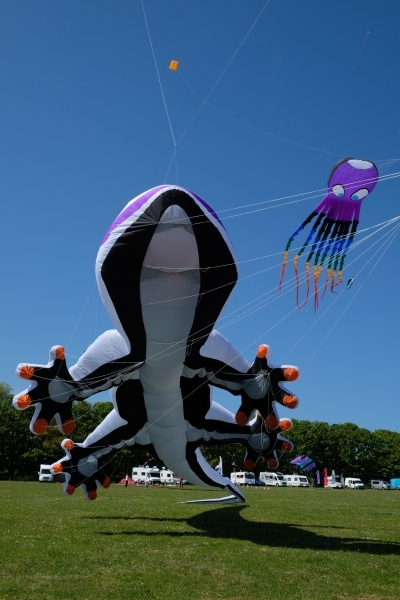 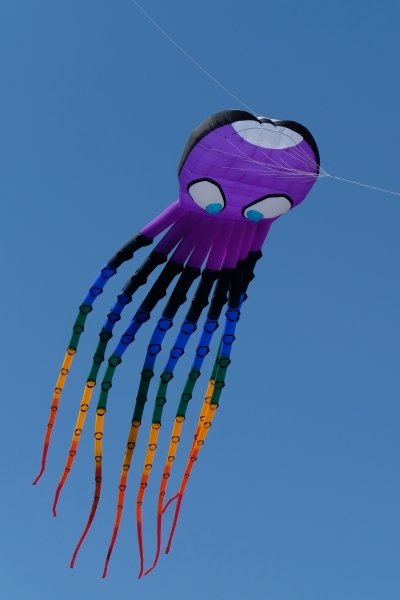 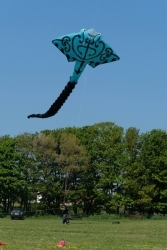 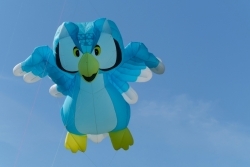 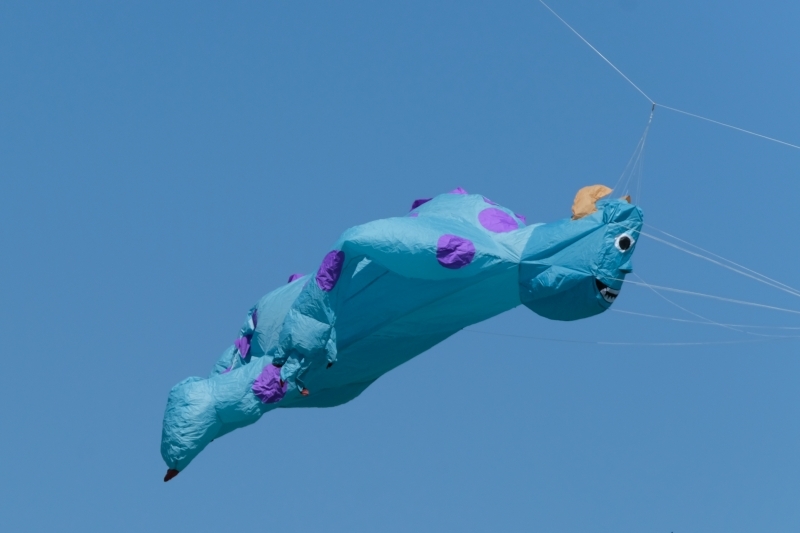 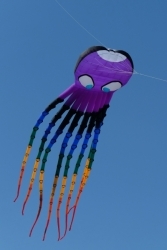 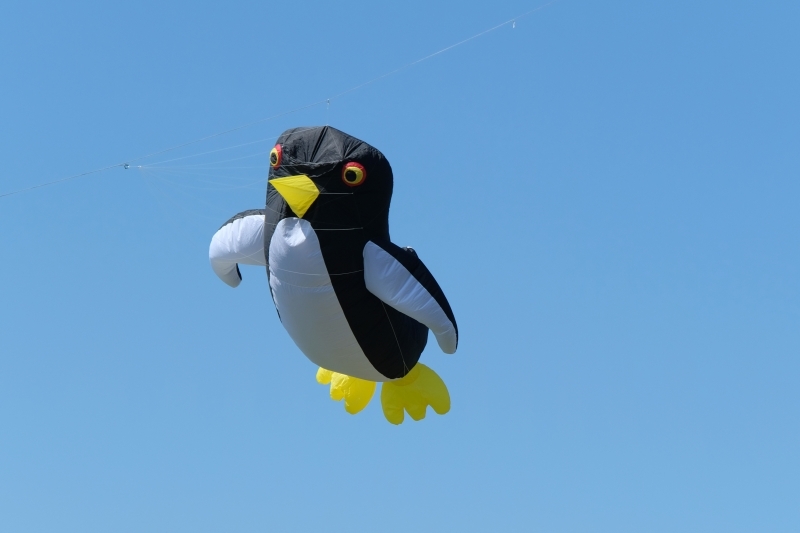 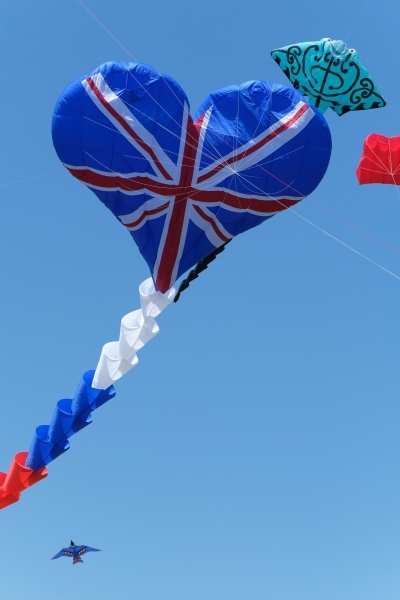 The Bridlington Kite Festival was held on Sewerby Fields, Bridlington on 19th/20th May 2018. 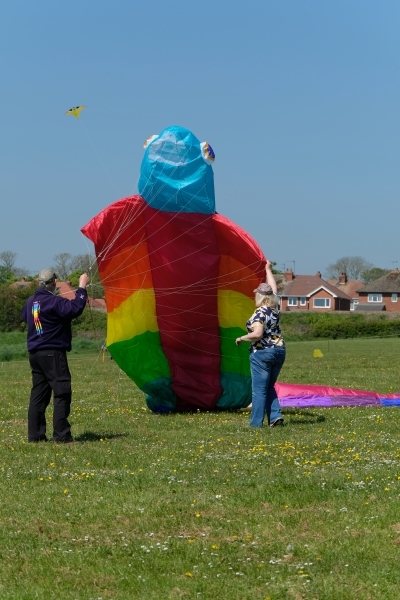 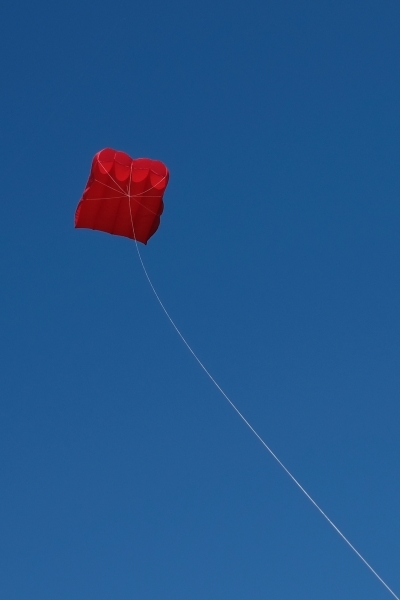 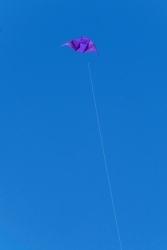 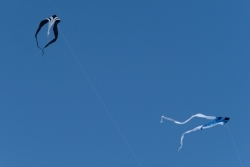 Another great weekend flying kites on Sewerby Cliffs, Bridlington. 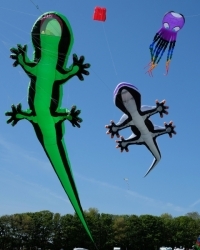 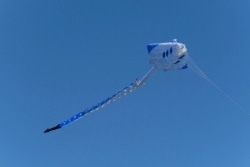 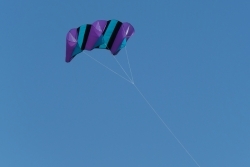 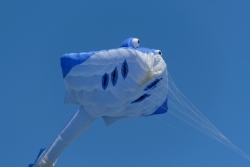 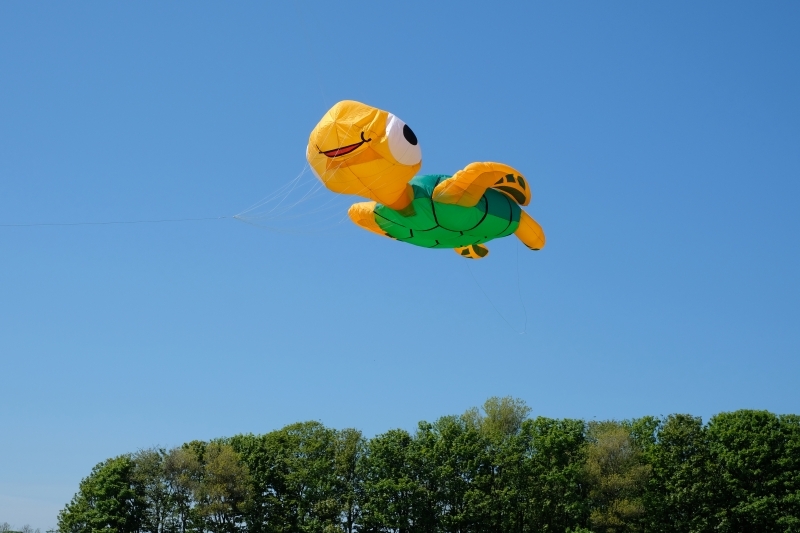 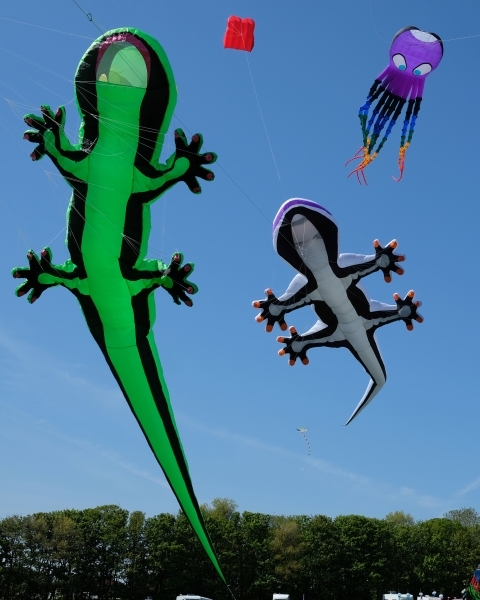 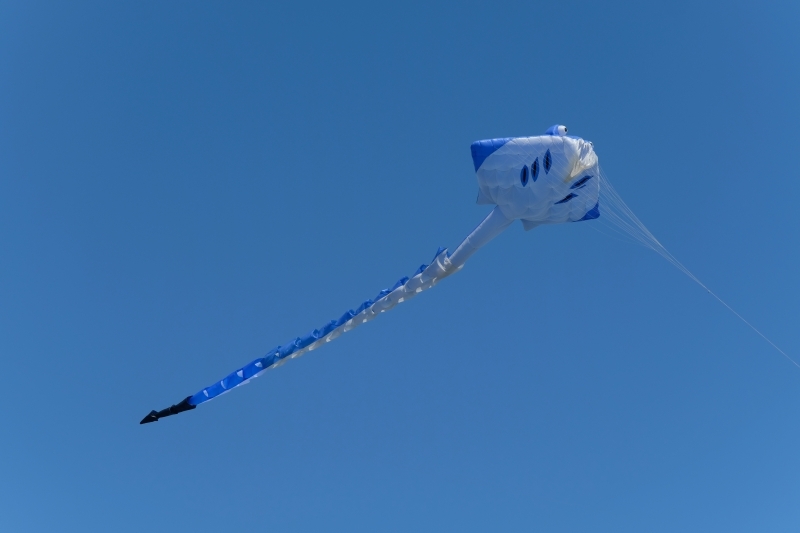 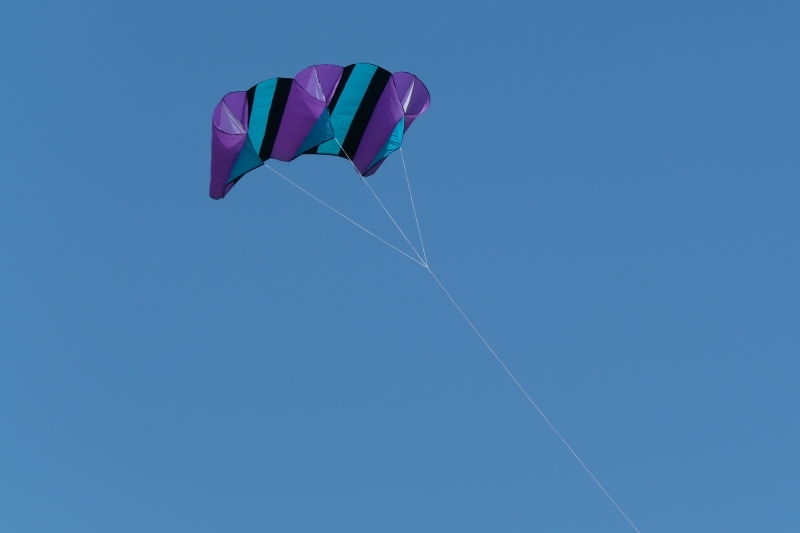 Saturday morning started with a light wind which gradually increased during the day allowing us to fly our new gecko. 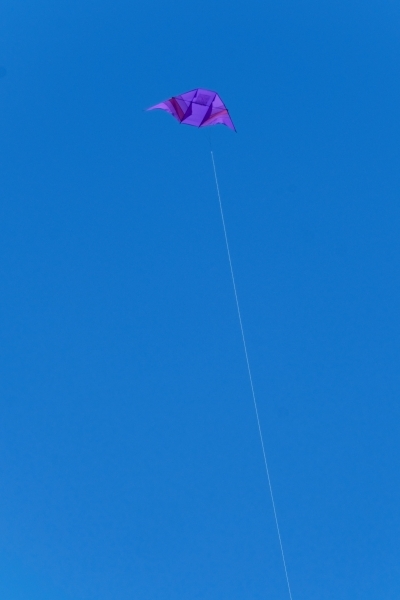 Sunday morning brought us a sea fret which didn’t burn off until about 3 o’clock. 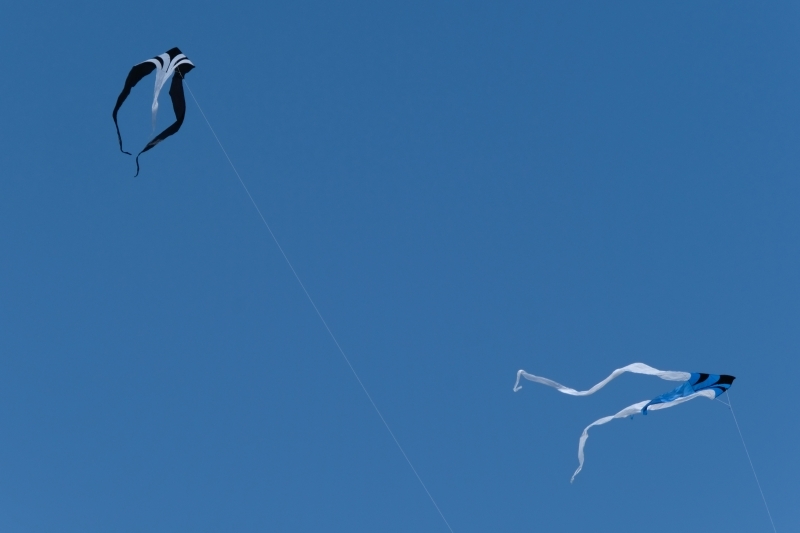 It was a frustrating time for all. As soon as the mist started to lift the sky was filled with colour. 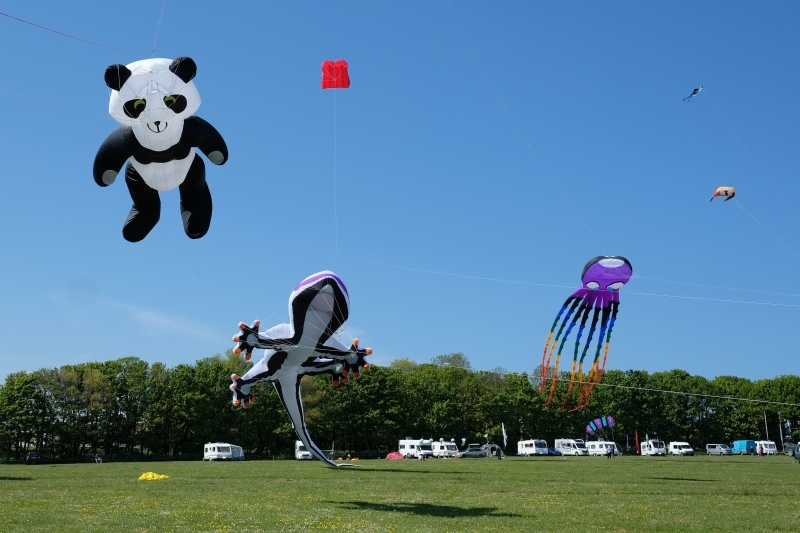 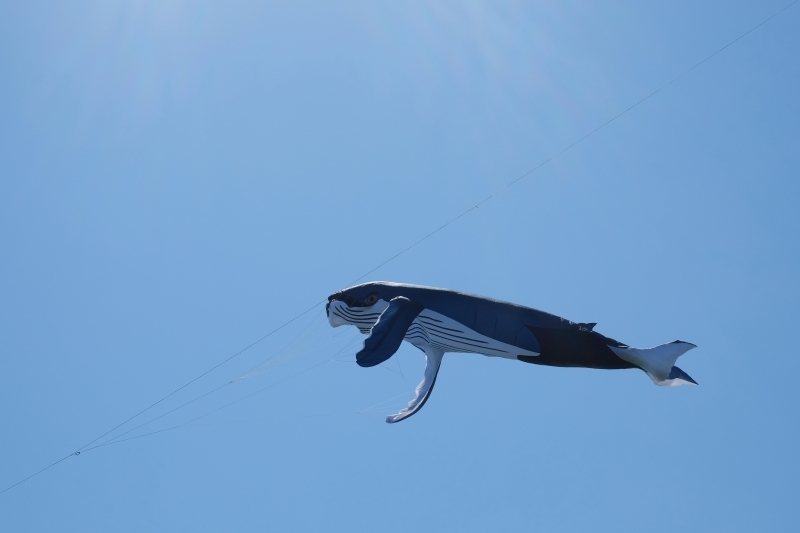 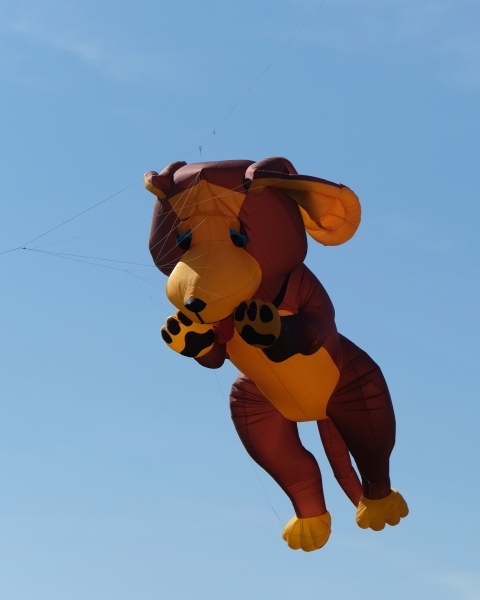 It was lovely to see ‘Daisy’, Bryn and Lesley Baggaley’s bear kite up in the air again and flying underneath the octopus.